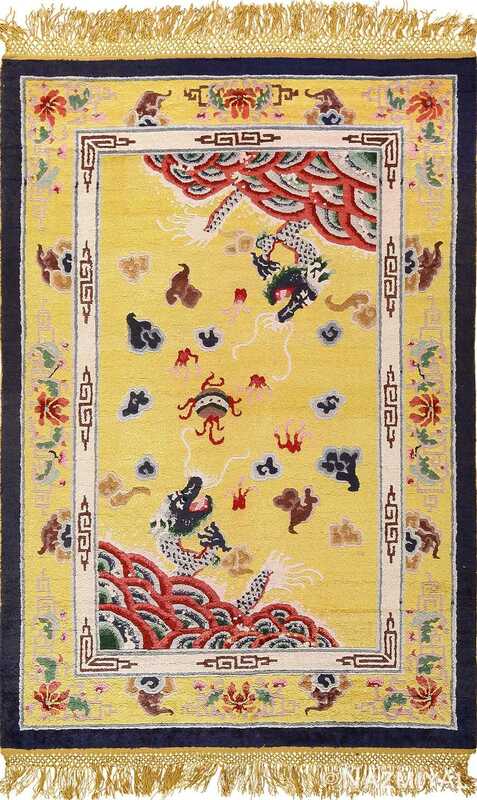 Finely Woven Beautiful and Simplistic Vintage Mid Century Silk Chinese Art Deco Rug, Country Of Origin: China, Circa Date: 3rd Quarter Of The 20th Century – Featuring strong horizontal and vertical movement, this abstract vintage mid century modern silk Chinese Art Deco rug bridges the gap between the cubists and abstract artists, such as Piet Mondrian and Karl Benjamin. 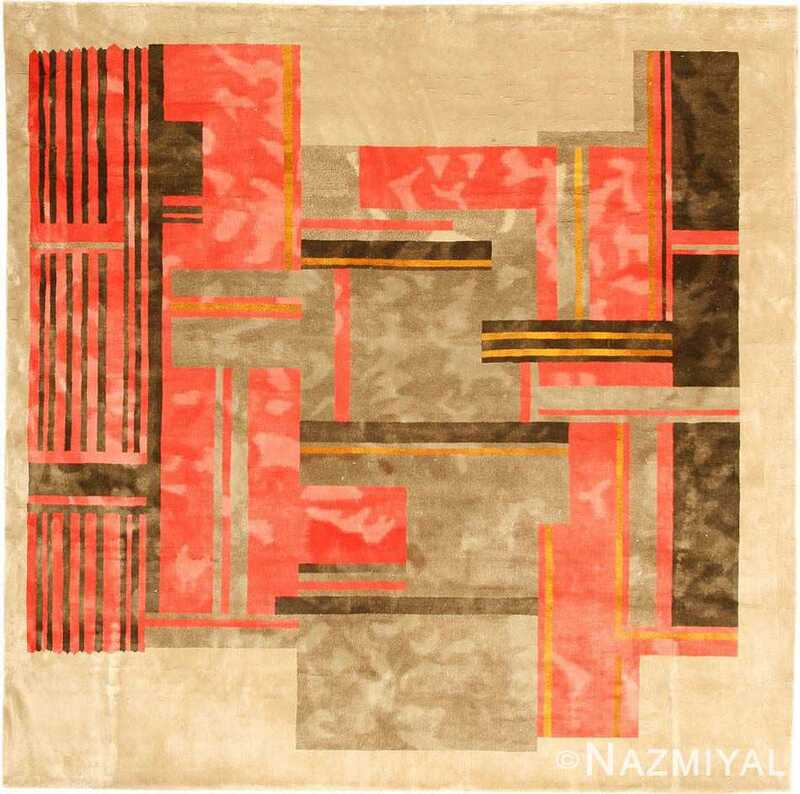 Reminiscent of tape-line grids used by contemporaries, this classic Chinese art deco rug features bold geometric lines with textural shading in khaki, chocolate-browns, coral red and gold over a neutral background. 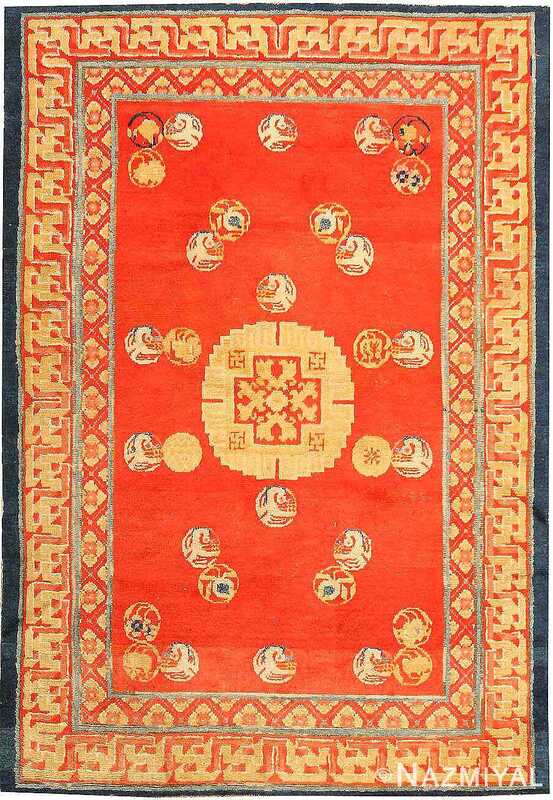 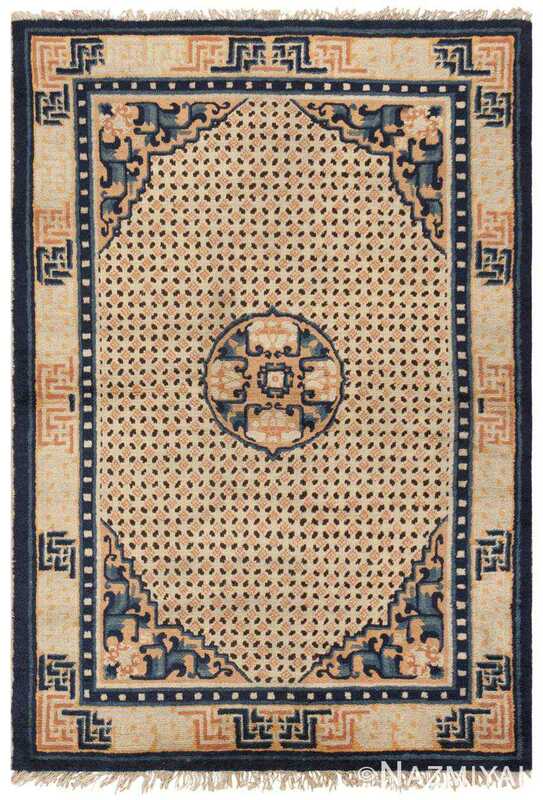 Elegant floral motifs and lotus blossoms with flourishing tendrils decorate this lovely antique Chinese rug while combining age-old symbols in an inventive manner.